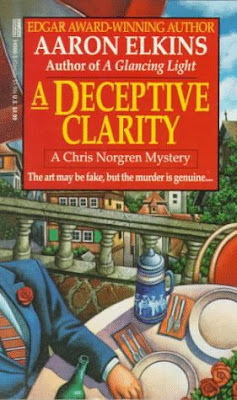 When I seek out mysteries I always search for novels set in the art world. 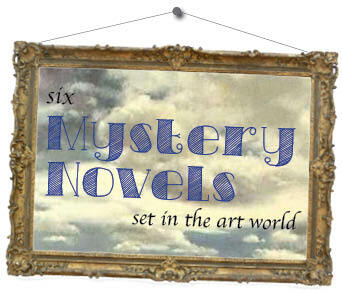 The art mystery is my favorite sub-genre. 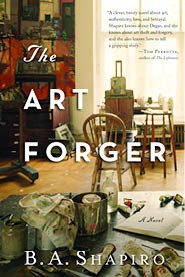 Most of these novels have plots that revolve around either art theft or forgery. I enjoy reading them because they are relaxing and enjoyable reads that take you to interesting places around the world. But the good ones are not brain candy. I always learn something from them, it could be about an artist, a movement or a museum. I'm pretty sure I could forge a painting at this point. If you are looking for your next read here are a few book I've enjoyed recently. The heart of this novel revolves around infamous, and still unsolved, art heist at the Isabella Stewart Gardner Museum of 1999. A talented young artist, Claire Roth, makes her living creating reproductions for an online store. When a gallery owner asks her to reproduce a famous painting she agrees. But, is she painting a reproduction or a forgery? The book also delves into Claire's past relationship with her grad school professor and the scandal in their past. Lydia Chin is a Chinese American detective asked to investigate newly discovered painting by an artist known as the Ghost Hero. The problem is, Ghost Hero has been dead for 20 years. Are these old paintings or new? Is Ghost Hero still alive or are these painting forgeries? This story takes us through Manhattan galleries, studios of young artists, the Chinese consulate, and the art history department of NYU. Not all Lydia Chin mysteries are set in the art world but I will definitely read more. 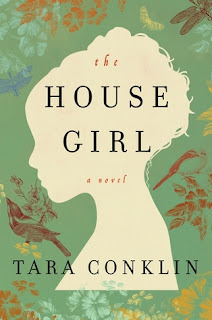 Historical fiction that weaves together a story of an escaped slave in the pre–Civil War South and a determined young lawyer, Lina Sparrow. Because Lina's father is a well known artist we get to spend part of the book in the contemporary art world of New York. On a personal level Lina is trying to unravel the mystery of her mother's death. On a professional level she is looking for an appropriate lead plaintiff in a lawsuit seeking compensation for families of slaves. Both of these worlds come together when she learns about Lu Anne Bell, a renowned prewar artist whose famous works might have actually been painted by her slave, Josephine. The main character is an art consultant that struggles against her family name. Her father is a well know art conservator that went to prison for art forgery. Alix meets a novice art collector and seeks her expertise about a recently discovered painting by Georgia O’Keeffe. Alix is hired to perform the authentication, and finally has the chance she needs to launch her career. The story takes them to Santa Fe and explains the city's history and status as an art center. I enjoyed this book immensely and was thrilled to see that it the start of a new series based on the main character. 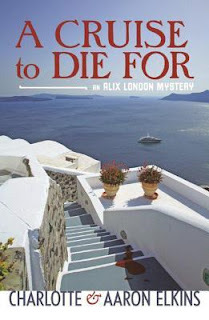 This is the second book in the Alix London mysteries. It came out on September 3, 2013 and I actually paid for it. That tells you how much I want to read it. I get 99% of my books from the library. This one is set in the Greek isles, I place I've been and loved. I'm looking forward to spending time with Alix again, a smart and knowledgeable woman, and seeing if they describe any islands that I have been too. 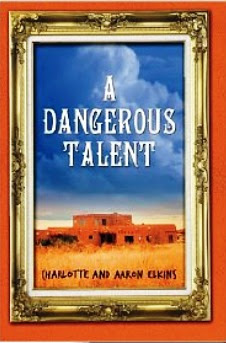 Obviously I have learned that Aaron Elkins is a go-to author for the art mystery. this one caught my eye. this is part of a series based on the adventures of an art curator. In this book he must determine the forgery among masterpieces. The same task that got his boss killed. What's your favorite genre? Do you have a favorite sub-genre? Are you a mystery buff? Do you need a book recommendation? Let me know in the comments, I'd love to hear from you! I'm looking for something modern and fun (and easy) to read. I'm ready to move on from the memoirs. Where to begin? Oh how fun! One of the best parts of the experience is finding a book you can't wait to dive into. whatshouldireadnext.com - This is a great site where you put in the last book you read that you loved and it tries to pull up other books in the same vein. You can also look up an author that you have enjoyed before and try another one of his or her books. You can peruse Reading List boards on Pinterest. Now would be a good time to start your own while you're looking for your next book. The next time you need a good read you'll have your own list! You can try something different and find a light mystery. Check out cozy-mystery.com. There are mysteries based around any theme you can think of. Find one you connect with, maybe food or music? These types of books are easy and quick reads. They can be cheesy but that is part of the fun! Books by Jennifer Weiner or Jane Green are great options entertaining light read with female leads. This list looks super fun and kind of up your alley right now - http://www.buzzfeed.com/erinlarosa/guilty-pleasure-books-that-are-in-fact-awesome.